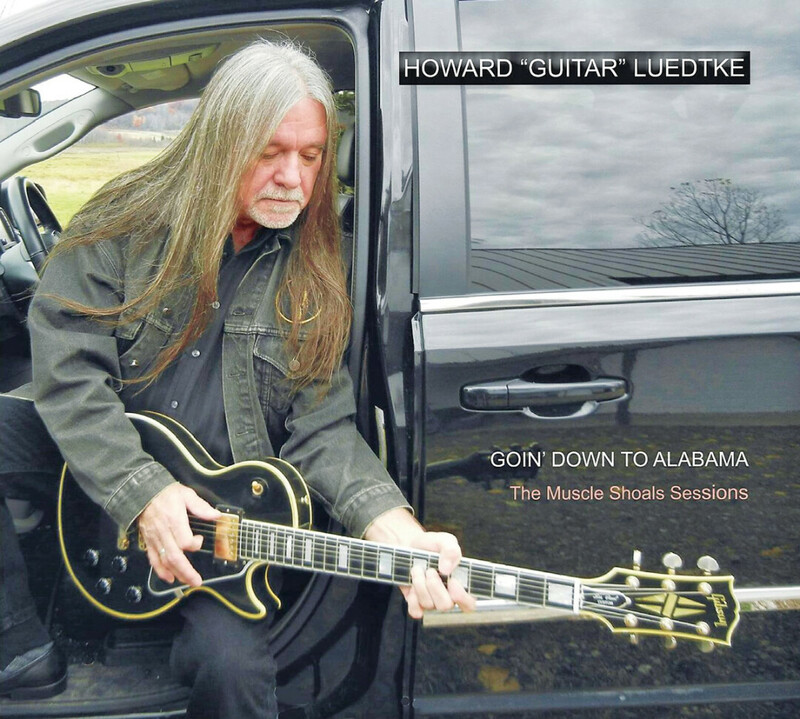 Longtime local blues veteran Howard “Guitar” Luedtke took multiple trips to Alabama to record with legendary guitarist Travis Wammack. The story behind the recording of Howard “Guitar” Luedtke’s latest album, Goin’ Down to Alabama: The Muscle Shoals Sessions, is as wondrous as the album itself. When Howard was a kid learning the guitar, he was introduced to a couple of songs recorded by a guitarist named Travis Wammack, whose singles “Firefly” and “Scratchy” made a big impact on young Howard and helped develop his style to this day. Howard was told Travis was a “very large black man.” Years later, Howard’s wife, Deb, found information about Travis on the Internet and they learned that he was not a large black man, but a white musician still playing guitar in Alabama. Over the years, Travis had appeared on recordings that sold more than 60 million copies and had a stint as guitar player and bandleader for Little Richard. After Deb bought Howard 13 of Travis’ CDs, Howard was so energized that they made arrangements to head down South and meet the man himself. Howard wrote a long, heartfelt letter (posted in its entirety in the CD’s booklet) and sent his own Blue Max recordings along. In 2013, Howard and Deb headed down to Alabama. Howard confessed he was extremely nervous to approach Travis. “I finally went up and said, ‘Sir, I’ve been looking for you for 50 years. I’ve been doing nothing but listening to your CD set constantly the past year.” And Travis responded, “And I’ve been doing nothing but listening to your Blue Max CDs the last two weeks.” The two hit it off famously and have been friends since. “My style is based off his, even though I first learned those two songs 50 years ago,” Howard said. Howard drove back down to Alabama three more times to record at Donnie Gullett’s (Travis’ music partner and bass player) studio in Muscle Shoals. Travis played guitar, slide guitar, harmonica, and provided background vocals. The other musicians included Jan Gullett on lead and slide guitar and background vocals; Wayne Chaney on percussion and background vocals (Chaney also played with Little Richard); “Bad Brad” Guin on saxophone; Jim Whitehead on piano and organ (he played with Carl Perkins among others); and drummer Roger Clark, who played with the Steve Miller Band, Hank Williams Jr., Tom Jones, Ronnie Milsap, and the Isley Brothers. 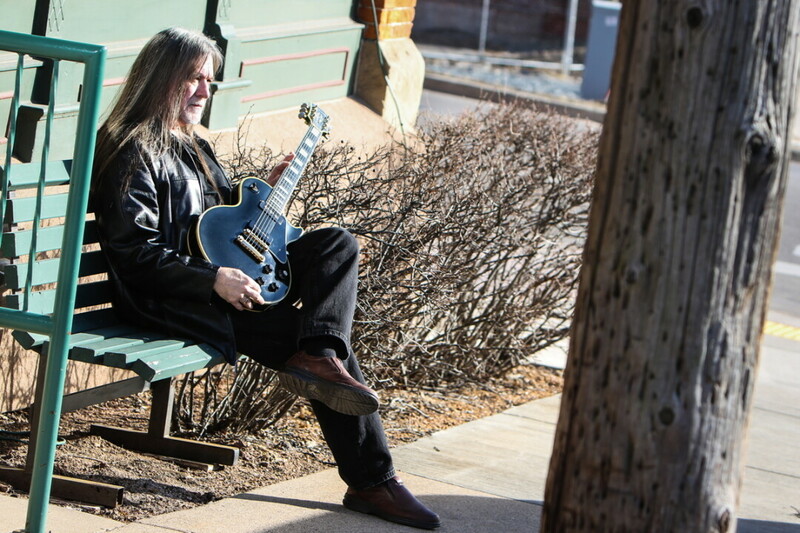 Howard sang lead vocals and played guitar, lap steel, and slide guitar. Howard’s favorite song from the sessions is his version of “Born Under a Bad Sign.” He was hesitant to sing it when it came time, but Travis gave him encouragement. Howard delivered. Friends who listen to the recording ask, “So, who did you get to sing this song?” They are surprised to learn that voice belongs to Howard. This reporter’s favorite song is Howard’s total deconstruction of The Who classic “My Generation.” A beautiful guitar intro leads into a slow groove. Howard laughed and said, “This slower arrangement reflects the age of my generation.” Howard includes Roger Daltrey’s famous stutter while wicked guitar solos catch listeners by surprise. The whole recording sounds like Howard had been playing with these musicians his whole life. He says the musical journey (for which he gives Deb a great deal of credit) that went into this album is mind-boggling. He’s still fascinated that it actually happened. Howard usually doesn’t like listening to his own recordings, but he can’t stop listening to Goin’ Down to Alabama. Pick up a copy of Goin’ Down to Alabama: The Muscle Shoals Sessions at The Local Store or online via CD Baby. To see a full slate of upcoming Howard “Guitar” Luedtke shows, check out www.howardluedtke.com/schedule.